Falco Auto Image gives you comprehensive image editing capabilities to create unique images. This standalone tool with its features and abilities proves to be a boon for professional designers and graphic producers. The advanced auto features of the utility allows in the creation of unique images. The tool has the capability to load images from BMP, GIF, PNG, JPG files, and can save the output images in JPG, GIF, PNG, BMP, formats. Image editing capabilities to create unique images. ...... work with the web camera. Falco Auto Image tool can enhance image effects like; Contrast, Brightness, Invert Colors, Blur, Grayscale, HSB Adjustment, Sharpen, Emboss, Crop, Lighting, Resize and more. Other than this it also supports; effects set loading from FCG files, effects set saving in FCG files, a simple user interface, and a graphical interface making the learning curve easier. 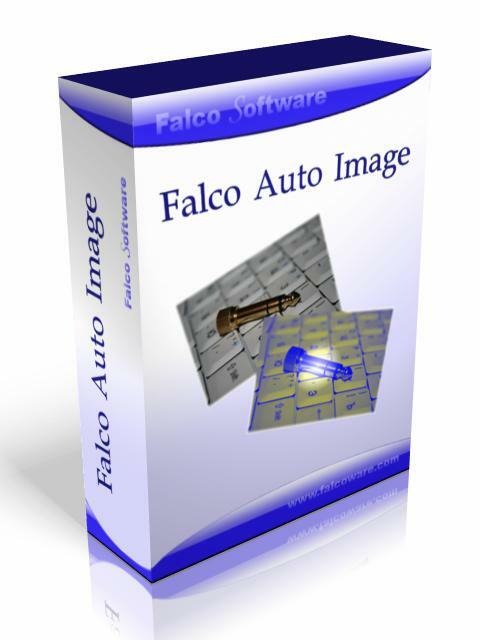 Falco Auto Image is a reliable tool that assures high quality output. 1. Loading from BMP, GIF(animated), PNG, JPG, PSD, TIF, TGA, PCD, AVI files. 2. Saving in JPG, GIF(animated), PNG, BMP, TIF, TGA, AVI formats. 5. Effects: Contrast, Brightness, Invert Colors, Blur, GrayScale, HSB Adjustment, Sharpen, Emboss, Crop, Lightings, Resize. 6. Effects set loading from FCG files. 7. Effects set saving in FCG files. 10. Flip Vertical and Horizonal. 11. File Next and Previous Loading. Qweas is providing links to Falco Auto Image 5.9 as a courtesy, and makes no representations regarding Falco Auto Image or any other applications or any information related thereto. Any questions, complaints or claims regarding this application Falco Auto Image 5.9 must be directed to the appropriate software vendor. You may click the publisher link of Falco Auto Image on the top of this page to get more details about the vendor.